I came across the most scrumptious picture on facebook from one of my friends the other day, she had just pulled a batch of these yummy s'mores out of the oven. Thank you Ronda for this simple and yummy recipe! Break your graham crackers in half and place them on a large cookie sheet. Unwrap your chocolate squares and center them on your crackers. Top each square with a large marshmallow. 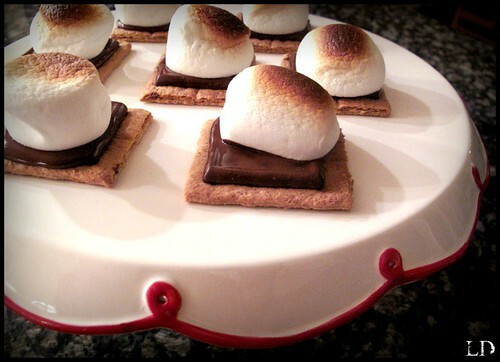 Broil your s'mores in the oven until the chocolate has melted and the marshmallow is golden and toasty. Serve immediately. My husband made these for dessert last night! This one is DEFINITELY a keeper! LOL!